As we get older, the natural aging process results in less collagen, elastin and hyaluronic acid production due to declining hormones, stress, and environmental influences and oxidative damage to the skin cells. Hormonal imbalances (androgen excess) in the perimenopausal years may lead to excess sebum production with acne breakouts, dark facial hair (hirsuitism) and even thinning of the scalp. Thinning, dry skin with fine lines and wrinkles. Uneven brown pigmentation, texture changes such as coarse pores. Accelerated by sun tanning, stress, and exposure to toxins such as cigarette smoke. Some lines are the direct result of habitual expressions, (frowning, squinting, scowling, wrinkling the nose, pursing the lips) and are known as dynamic lines. Shrinkage of the deep fat compartments in the mid face and temples. 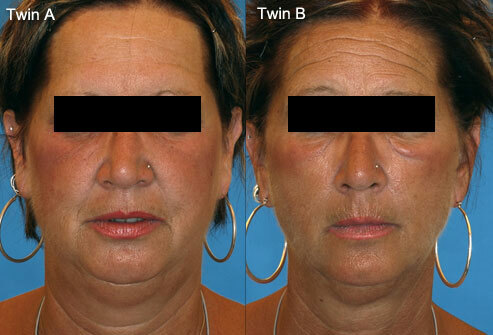 Sagging of the face and neck, which manifests in deep folds, jowls and loose neck tissue. (see: “SoftLift”-Voluma, Radiesse – The V -Effect, and Sculptra). In later years., the shrinkage of the deep supportive fat compartments is compounded by muscle atrophy and bone resorption, especially around the eye sockets and the upper jawline (maxilla), appearing as deep hollows around the eyes and flattening and lengthening of the skin between the nose and upper lip, which can lead to inversion and a virtual disappearance of the lips. These signs can be tricky to address, but sometimes the use of autologous Platelet-Rich Fibrin Matrix (Selphyl) can be used to thicken the infraorbital skin, minimising hollows. Prudent use of hyaluronic acid fillers such as Juvederm can reconstruct lips. WHAT IS BOTOXTMAND HOW DOES IT WORK? A purified preparation of neurotoxin A produced by the bacterium Clostridium Botulinus. This neurotoxin has been studied and used for medical indications since the 1970’s and has been used extensively for cosmetic uses since 2001. The bacterium produces 7 different neurotoxins, of which Neurotoxin A and B are used in cosmetic medicine. In Canada, 3 preparations of the neurotoxin A are available: Botox, Dysport and Xeomin. Neurotoxin B is available under the trade name MyoBloc. There are subtle differences in the pharmacology of each preparation, but all are approved by Health Canada. 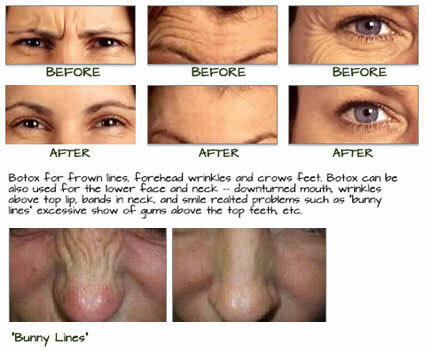 Lines that are caused by muscle activity (eg frown lines, horizontal lines in the forehead and crow’s feet). It makes no difference to folds caused by sagging or loss of volume (eg. jowls and nasolabial folds). As one gets older, the skin loses its collagen and elasticity, dynamic lines become deeper or appear as fine pink striae (a groove on a surface), which will not disappear completely when the skin is stretched. Botox will not completely remove these lines. Further improvement may only be obtained through resurfacing lasers, or dermal fillers. Precise knowledge of facial anatomy is needed when injecting Botox, so as to avoid a spillover effect into neighbouring muscles. The better understanding the injector has of the complex interaction of facial muscles, the better the results will be. Onset is in 1-2 days following treatment, although it takes 7-10 days for the maximal clinical effect. The results of Botox will last an average of 4 months, some will get more or less time than others. Expert injectors avoid a frozen or overdone look. It is better to retain some ability of expressive and to aim at a rested refreshed look. These bands are caused by bunching of the sheet-like muscle-the platysma- which covers the front of the neck. As we get older, the muscle may bunch into tight cords or bands that are cosmetically displeasing, pulling the lower face down, exaggerating jowls, and pulling the neck tissue forward. Strategic injections of Botox along the jawline and in the bands themselves rebalances the muscle and leads to a firmer, more youthful neck profile. 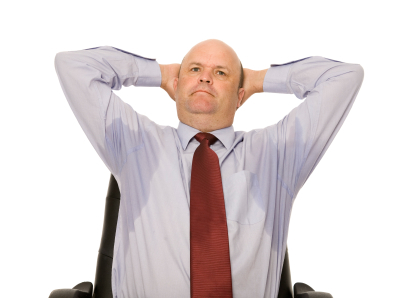 Excessive underarm sweating or clammy hands. Botox injections offer a practical, non-invasive alternative to surgical thoracic sympathectomy or excision of axillary sweat glands. Botulinus toxin interferes with the release of acetylcholine from the nerve terminal, thus interrupting the sympathetic nerve signal to the eccrine (sweat) gland. In studies, 95% of participants have had an average reduction in sweating of 83%.The average duration of relief is 7 months, in 30% of patients, the effect will last longer than a year. We treat axillary, palmar, and craniofacial hyperhidrosis. Treatments are reimbursable by most insurance plans. Recent studies have demonstrated the effectiveness of Botox in reducing the frequency of headaches in persons suffering from chronic migraines (eg. with 15 or more days per month of headaches lasting 4 hrs or longer). The recommended protocol involves injecting muscle groups in the brow and forehead area, the temples, the back of the head and back of the neck. Usually treatments are given every 12 weeks and will be reimbursed by most insurance companies. A medical consultation is required before commencing treatment. Neck pain caused by spasm of the paracervical muscles, associated with abnormal head positions, otherwise known as torticollis arising spontaneously or from strain or injury. The affected muscles, usually the scalenes, splenius capitus, levator scapulae and trapezius, are injected on the affected side, giving relief for about 4 months. Disclaimer: We are producing this section of the website as an informational tool for existing patients, so that they may have a basic understanding of their treatment; not as an advertisement for a specific formulation of Botulinus Toxin. It is not intended to be all-encompassing; the specifics of your planned injection protocol, potential side-effects of the drug etc, will be discussed at your consultation with Dr. Hyland.